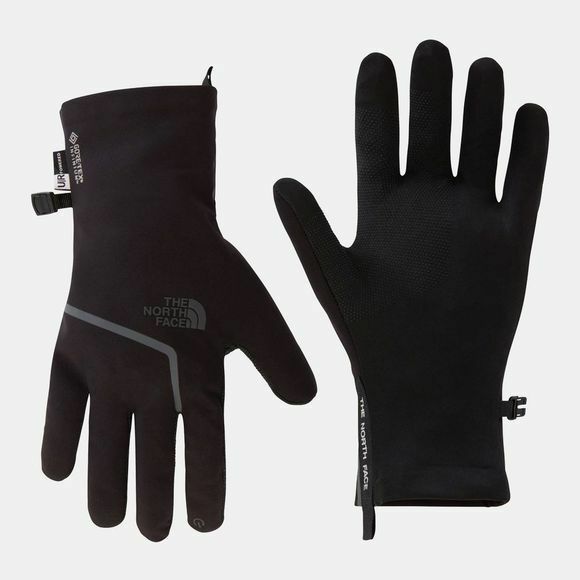 Whatever the adventure, the Mens Gore Closefit Softshell Glove from The North Face is ready and waiting. You can rely on these ultra-durable, close-fitting gloves to protect your hands while giving you full use of your touchscreen devices. Lightweight and streamline, these gloves feature exclusive new GORE-TEX waterproof and windproof technology to lock out the wind and rain, so your hands stay warm and dry whatever the winter weather throws at you.